AddOn 8in Mini-DisplayPort Male to VGA Female Black Adapter Cable with Support for Intel Thunderbolt? 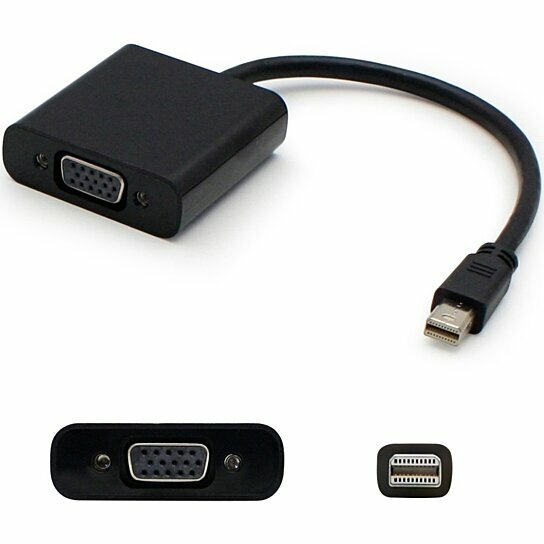 The Mini-DisplayPort to VGA Adapter (Black) lets you connect your VGA monitor to a Mini-DisplayPort equipped computer. It is a cost-effective way to avoid the expense of upgrading your monitor. It is compatible with Intel Thunderbolt technology, when connected directly to a supporting DisplayPort over Thunderbolt I/O port. The MDP2VGAB comes with a full 3 year warranty.